We are proud to announce that Peter Suess Transportation Consultant Inc is now offering a selection of Electronic Logging Devices to suit any need. We recognize the unique challenge Canadian carriers face and with decades of experience in this industry we feel confident we can help your company big or small face one of the biggest regulation changes in the industry. We are partnering with multiple suppliers to offer you the best selection of devices possible. Giving our clients choice. Offering a selection we can cater to your needs, not just sell you on a single device because that’s all we have. PSTC has always been about putting your needs first, realizing in this industry is not a one size fits all attitude. Electronic logs for Canadian-based carriers or U.S. based carriers going into Canada have special considerations because these two countries have very different Hours Of Service rules. Being compliant in one country does not make you compliant in another. Tracking this has been a challenge for many drivers and carriers, this is why we are excited to bring our client’s proven solutions to cross-border Hours of Service compliance. Our devices will automatically detect your geographical region and change Hours of Service rules according to your location. No more guessing, just clear and accurate information. 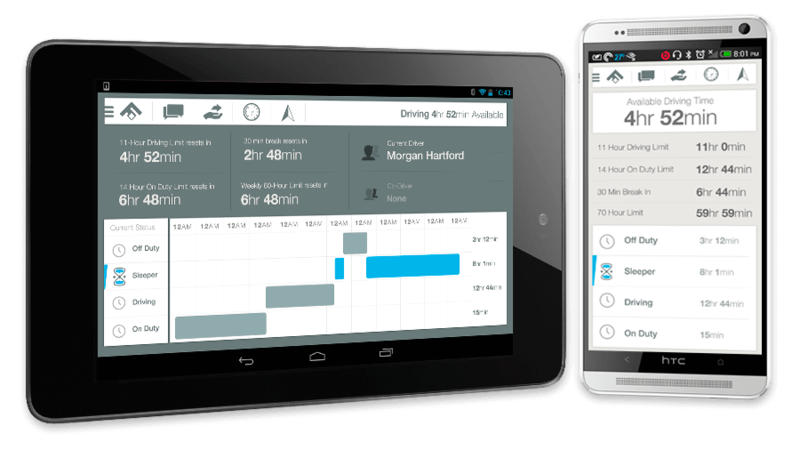 Available for Android and iOS devices, KeepTruckin offers a full-service system for all of your fleet management needs. Featuring log auditing, GPS tracking, real-time messaging, IFTA fuel tax reporting, geofencing, idle time tracking, vehicle diagnostics and more, this easy-to-install system is 100% DOT compliant, and plugs right into your vehicle’s diagnostic port. This simple solution is perfect to get your company compliant. 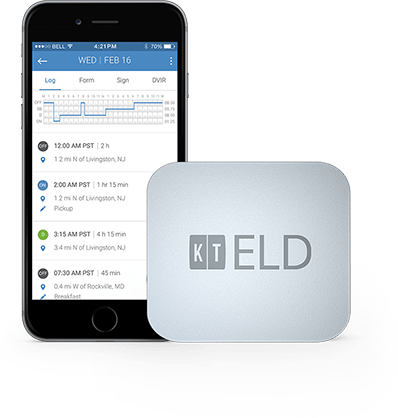 Contact us today to get your KeeptTruckin ELD system! GeoTab has a proven track record and being an open platform flexible enough for any business. It makes this solution one ready to grow with your company. The plug and play device is ready out of the box and the hundreds of add-ons in the Marketplace give you the ability to leverage your data in almost any way possible. Contact us today to get your GeoTab ELD solution today! Our solutions use technology you may already have and use making it easier than ever to comply with Hours of Service rules. Online or on the road information on you and your fleet are at your fingertips, helping you make better choices for today and tomorrow. Please contact Derek for more information and check back often as this page is currently under construction.